How do I add additional info to my contacts? 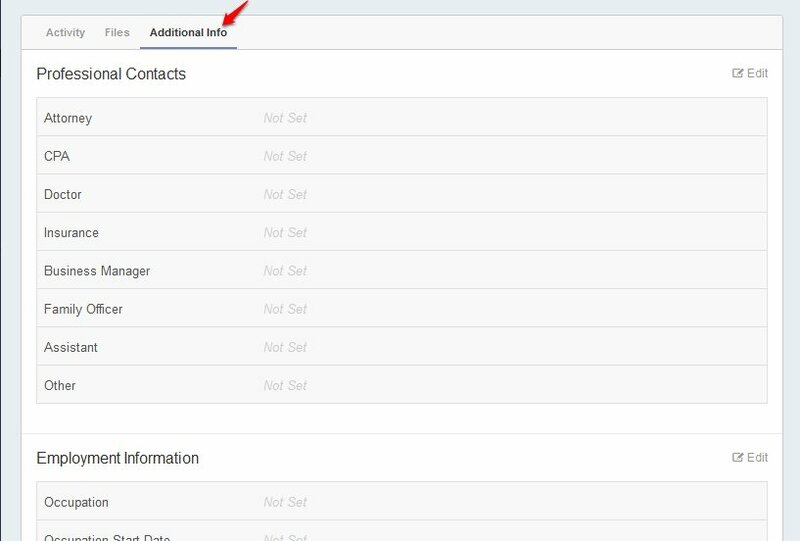 When creating a contact you will find a link at the bottom of the page labeled “Show Additional Fields”. You can click on the link and fill in the additional fields you want to record. For example, referred by, contact type and assigned to are a few of the fields. After creating the contact record, for even more specific information including professional contacts, employment info, written agreements and more, click on “Additional Info” above the activity feed of your contact.